When a printer goes down, it can be frustrating while you wait for repairs. However, many common print problems can be quickly fixed. Before calling for help, see if one of these tips can fix your problem. Check the connections – If your printer isn’t printing, it could be something as simple as the plug coming loose. Check that it’s securely plugged in and connected to the network, and then try printing again. Check the drivers – Outdated print drivers can cause a number of problems from poor quality to a stalled printer. Make sure everything is up to date. Check another printer – Are you sure the print job went to the printer you meant it to? 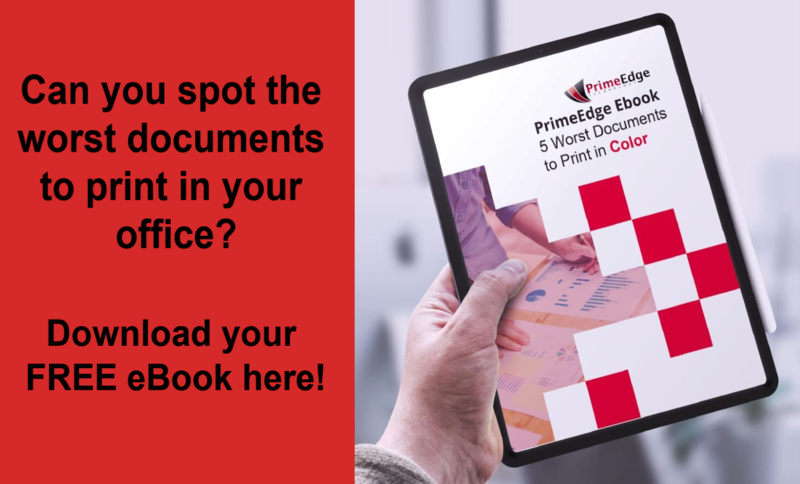 If your office has implemented print rules, check your settings and other printers to see if it was automatically rerouted to a more appropriate printer. Use the right paper – Using inappropriate paper can cause your printer not to print. Be sure you have the right kind inserted. Sub par print quality can come from a variety of factors. The first thing to do is to check to make sure you’re not printing using the draft setting. Also check to be sure you’re using the right print media for the job. Other causes of poor print quality can include damage to the toner cartridge or the wrong fuser temperature. Printing a few test pages may help clear smudges or clogs. Paper jams can damage your printer, so proceed carefully. Pull the paper straight out, being careful to not tear it. Ruffle the edges to remove static when inserting paper, which will help the pages flow more easily. Store paper in a dry place, and don’t overload your print tray, as paper will absorb moisture from the air, which can lead to jams. Regularly remove debris from the paper path. Use the paper guides on the tray to help the paper go in straight. If you’ve given our tips a try and your problem still isn’t resolved, give us a call and we’ll be happy to help! Are You Leveraging the Power of Color Printing in Your Business?